​​Growler Fill Fridays have just arrived!!! Come by on any Friday with any Growler and receive 10% off a fill of any mead in our great line up of mainstays and seasonals. For every growler you bring, you will be entered for a chance to win a stainless steel growler valued at $300.00! Head over to our for more information! Our flagship line of Buzzsaw is a simple traditional mead that uses only honey, water and yeast. Our water is sourced from a local supplier that fits it specifically to our needs. The yeast we use for fermentation gives a hint of tropical, citrus flavor to the mead. The honey is prominent in flavour but not in sweetness as we are bound and determined to break the assumption that honey drinks have to be sweet! Instead, we offer a more dry, refreshing beverage, boasted at an 8% alcohol by volume content, that drinks more like a cider or light beer. Best served ice cold. As logs come into the sawmill, it falls to the Sawyer to direct how each will be cut into lumber. Skill and intuition guide him in knowing which pieces will yeild the highest grade. In that same spirit, the mead that bears his name is a skillful blend of raw, unprocessed, Alberta honey with noble and new world hops. Our hop combination is strategically added to the batch so as not to make it taste bitter, but instead, more of a floral, hoppy accent to the traditional mead. Sawyer is a delicious gluten free alternative to beer and some would even say it tastes like a cider! For those of you who are new to the mead world, mead is the oldest form of alchol in the history of mankind. It is the result of a fermentation process using honey! Thats right folks there is no grain or fruits to be found in a traditional mead. This also means....gluten free! There are many different ideas surrounding the origination of this honey drink. Some say it began in Africa, some say Greece, while others are convinced it was Egyptian or Old Norse. Wherever it began, the world has been enjoying it ever since it's beginning. From the manliest of men to newlywed brides, mead was the choice. With our new world spin on a historic recipe, we hope you will enjoy these drinks as much as those of the days of old! Autumn. The season of the axemen. A true axemen took so much pride in his work that he would actually custom fit his own handle to suit himself. 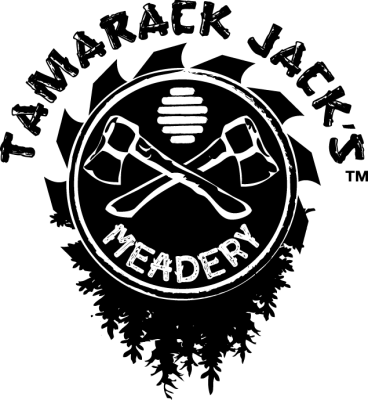 Jack's Axe mead is our rendition of axemen pride. Made with our own Alberta honey, Alberta grown squash and a handful of spices, it really captures the autumn senses. Not only will it get you in the spirit at a 10% abv but it is sure to make you think twice about pumpkin spice being a "basic" fall trend! 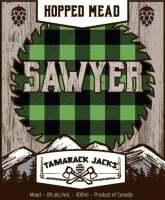 Made as a limited edition, Jack's Axe is only available while supplies last, so come get your growler filled today! Tillicum, to a lumberjack, meant 'man' or 'friend'. An especially appropriate term for the friendship between our own raw, wildflower honey and red, ripe, sour cherries! The tartness of the cherries blended with the sweetness of the honey leaves your taste buds reeling over all that flavour. What friend wouldn't want to share something like this? So be a Tillicum and share some sparkling seasonal mead this spring! Believe it or not, 'Klooch' was a term used by loggers to refer to a lady, specifically a North American lady. Keeping that in mind, this mixture of raw honey and strawberries in our spring seasonal mead make it a little sweet and a little wild! Now aren't those two great attributes to have? One sip of this fruity, pink drink will have you falling in love! 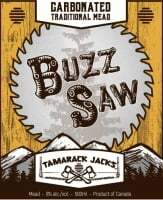 Where can you find Tamarack Jack's Mead? We are currently open to call ahead meadery tours! Shoot us a message or give us a call with a date and time you would like to come out. category of the Commercial Mead​ Competition hosted by BCHPA. ​The event was held in Kelowna BC in October of 2017. ​ Meaderies all across Canada were invited so we think its a pretty big deal!